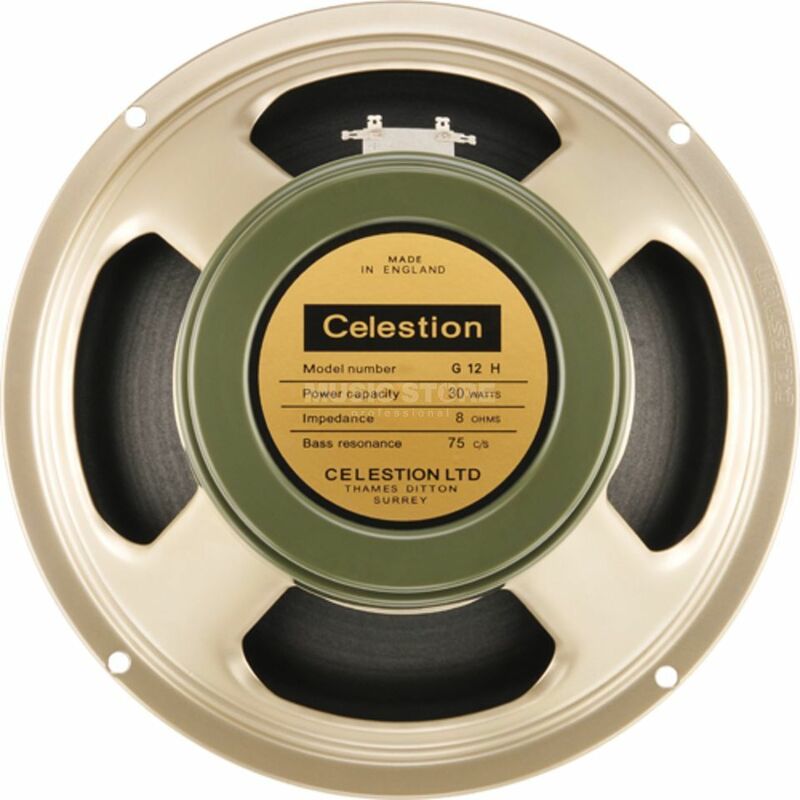 The Celestion G12H Replacement Guitar Amplifier Speaker Cabinet Driver is a Heritage 12" speaker, with 15 Ohm impedance. It's hard to escape the sound of the G12H, just listen to any Hendrix recording and chances are you'll be hearing a whole raft of them powering the guitar out of the mix. These faithful re-creations capture the unmistakeable mojo of late 60s rock guitar tones. The Heritage Series G12H (75) features a 75 c/s 'lead' cone for an alternative tonal balance that places a little less emphasis on bass frequencies. Choose this version if you prefer a tighter bottom end with a punchy upper mid-range and sparkling highs. Nominal impedance: Available 8? or 15? DC resistance, Re: 6.53? and 12.11?